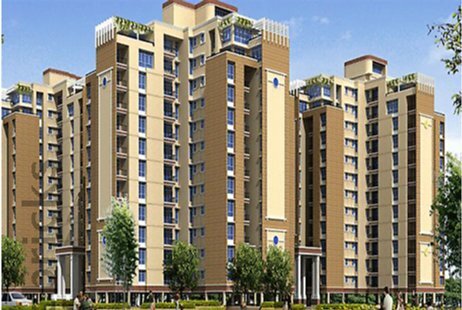 Price: ₹ 28.75 Lac Price: ₹ 3194.44 /Sq. 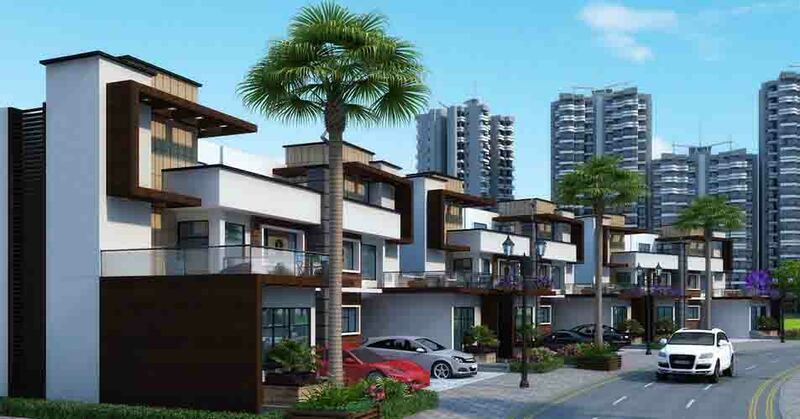 ft.
SUPERTCH UP COUNTRY IN YAMUNA EXPRESSWAY Imagine stepping out of your home and stepping on the cool sands of the beach, early in the morning. Or basking in the winter sun. Imagine going to sleep as gently splashing waves sing a lullaby. Imagine all this with premium sporting, clubbing and leisure facilities. Now no need to imagine it. 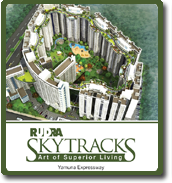 Experience it all right here in Yamuna Expressway, 0 kms from Greater Noida, at Holiday Village. An address reserved for the select few. 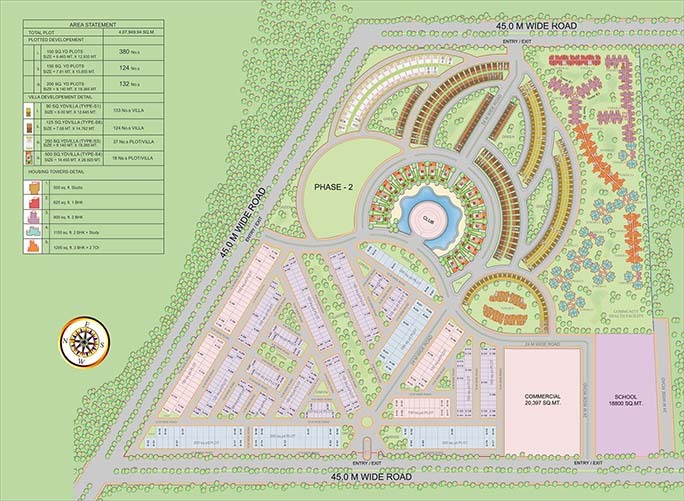 Part of a completely self-sustained development of Upcountry, a 100 acre landmark, that's nothing short of an independent country. Holiday Village at Upcountry. NCRs first beachside homes. You will have a complete European experience, with an Indian price tag being the only gentle reminder where you actually are. Situated close to the upcoming 5.14 km long Formula 1 race track, Upcountry is surely a sizzling hot destination for speed lovers. Enjoy a panoramic view of the circuit from the comfort of your home. Lend your ears to the speeding cars while sipping your favorite drinks. Live an action packed experience right next door. 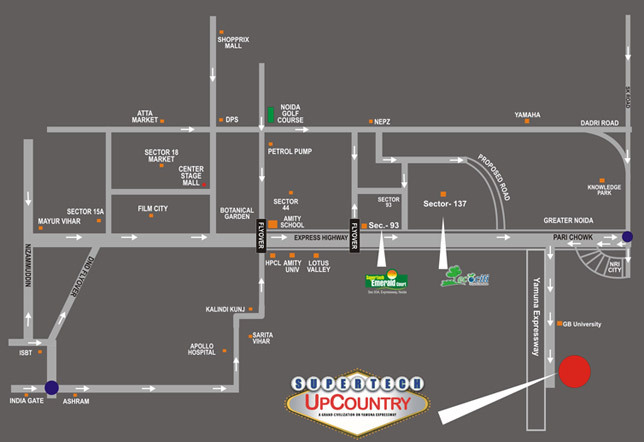 Thanks to its location right next to the proposed Night Safari, living at Upcountry is surely an exciting and thrilling experience. Enjoy watching wild animals in India’s first ever nocturnal zoo under moon light. Begin everyday with a panoramic vista of Golf Course bedecked with soothing landscapes and exotic greens. Play your best shot at the 9-hole well designed golf course spread over 100 acre lush green canvas. Rediscover yourself every day.